I am United States Navy veteran and served six years with the Carson City Sheriff’s Office before returning to higher education. 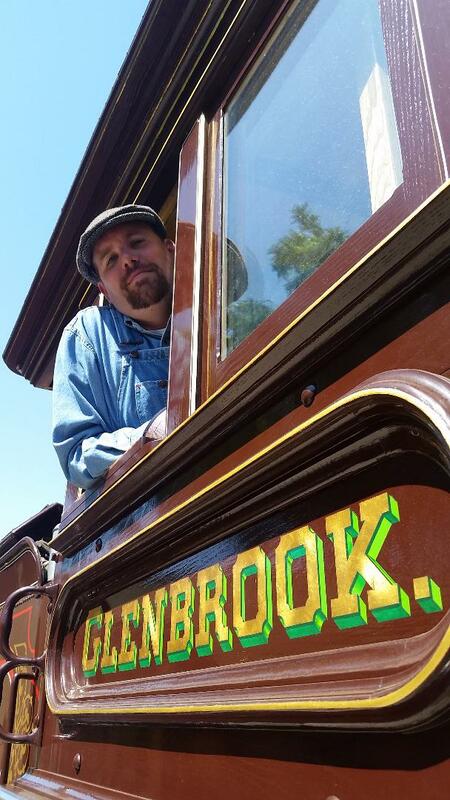 I am a long-time member of the Friends of the Nevada State Railroad Museum and I continue to volunteer with the museum in steam train operations and historical education projects. My research examines the environmental impacts of early Nevada settlement and how those ecological changes shaped the relationship between Euro-American settlers and Native American populations. MacMahon, Christopher. “Mystery on the Mainline: What Wrecked the ‘City of San Francisco? '” Nevada Historical Society Quarterly 59, no. 1-4 (2016), 49-66. Guest Lectures: Spanish-American Borderlands (CSUCI, 2016), Building the Pacific Railroad (UCSB 2017); The Eugenics Movement in the U.S. and Nazi Germany (CSUCI, 2017); Becoming a Nation: The Articles of Confederation, Constitution, and Fight for Ratification (UCSB, 2017); An Introduction to Gender and Sexuality in Historical Thinking (CSUCI, 2018); Transnationalism and the Transcontinental Railroad (Nevada State Railroad Museum, 2019). Courses as TA: American History 1492-1820; American History 1820-1920; American History 1920-Present; American Environmental History; California History; History of the Middle East 1500-Present; Great Issues in the History of Public Policy; Water in the American West. 2016 – History Program Honors, California State University Channel Islands. 2015 – Interdisciplinary Research Learning Community, Inaugural Member and Research Grant, California State University Channel Islands. 2011 – The President’s Call to Service Award, President of the United States’ Council on Service and Civic Participation. Friends of the Nevada State Railroad Museum: Secretary of the Board of Directors (2011-2013); Member of the Board (2007-2011); Youth Programs Committee Chair (2007-2013).